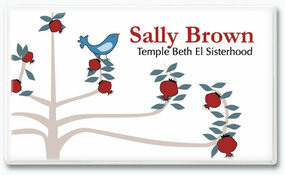 Make your own printable church name tags in a few simple steps, and get in the spirit of welcoming others to your congregation. Do-it-yourself church name tags and usher name badges can be easily customized to give good names the recognition they deserve and bring people closer together. 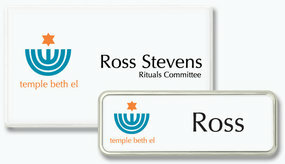 Enhance the spirit of good fellowship with do-it-yourself church name tags designed to quickly make a friendly impression. You'll be thankful for these attractively framed namebadges that add a pleasant touch when socializing with fellow congregants. Custom magnetic name tags and reusable badges bring individual uniqueness to any group environment, creating memorable introductions that stand the test of time. 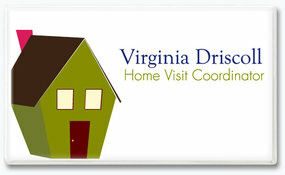 The 1" x 3" size nicely complements suits and dresses, while the larger 2 x 3 1/2" business card size stands out in a crowd. 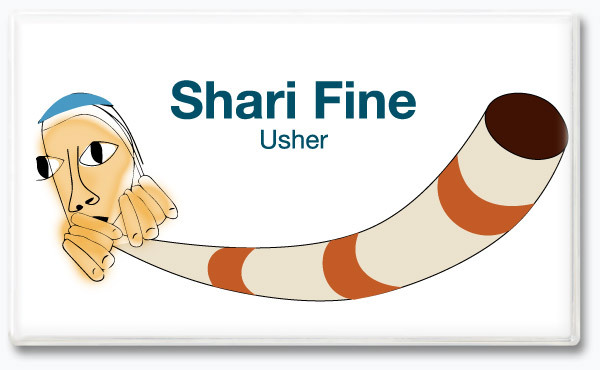 More than just a name, you're a recognizable church member offering a helping hand when you wear stylish usher name badges like this. Go ahead...print your own! 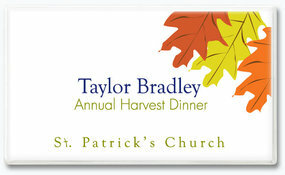 Easily changeable, in lustrous gold or silver frames, these customizable church name tags highlight both your greeting and services while subtly accenting your church attire. 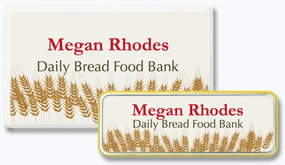 Print as many economical name tags as you need in just minutes, with or without a polished metal bordering frame, to support your community-minded efforts. Slip in your business card or print your name and add colorful graphics yourself...for a reusable name badge that quickly makes an impression, even among large groups. 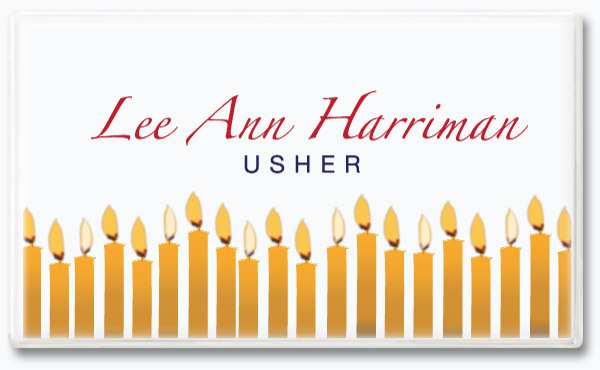 Learn how to make and print your own affordable, yet signature usher name tag that personally introduces you, highlights your special duties and respects your house of worship. Easily changeable SNAP custom name tags and badges offer a simple, coordinated way to identify key staff and volunteers within your organization. It's a SNAP® sign tradition! 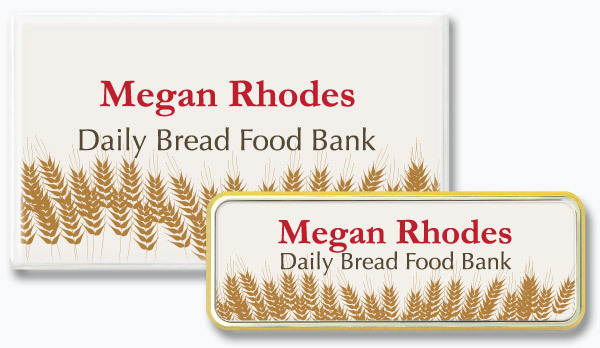 with customized do-it-yourself nametags that you can nicely accent with either polished gold or silver frames, depending on your outfit or your organization's colors. Ask us about all the ways that SNAP magnetic church name tags and usher name badges make every group function pleasantly memorable, nicely complementing any special holiday event or social gathering. Use these changeable badges again and again...and let your mini-SNAP sign celebrate new friends together!